2016 Sora Luxury Electric Superbike. Picture credits - Sora. Submit more pictures. A symbol of style and sophistication, the all new SORA is the worlds first Luxury Electric Superbike. The SORA by LITO is a Luxury Electric Motorcycle with a host of features and performance that have never been seen in this category. Price as new (MSRP): US$ 77000. Prices depend on country, taxes, accessories, etc. Comments: 12 kWh lithium-polymer battery modules with integrated Battery Management System, on-board charge. Charging time: 9 hours. Range 200 km. Made by Lito Green Motion in Canada. 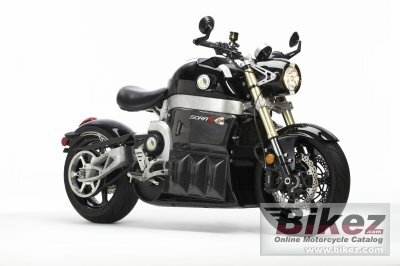 Ask questions Join the 16 Sora Luxury Electric Superbike discussion group or the general Sora discussion group. Bikez has reestablished Bikez.info motorcycle web shop overview. Here we present the major online shopping possibilities for motorcycle parts, gear and accessories. This includes customizing and insurance. Search and compare products and prices. Try our 2016 Sora Luxury Electric Superbike discussion forum if you have questions or comments. Information about any technical issue is always welcome.